If you are looking to buy, sell or develop property in Tankerton and the surrounding area or are already residing there, you may require information and assistance relating to deeds of covenant on your plot or access via 10ft-ways situated adjacent to your plot. As Agent for Horsebridge Properties (Whitstable) Ltd and The Tankerton Estate we may be able to assist in these matters. By arrangement we are also able to issue Certificates for Approval of Plans for alterations to your property. Please contact Russell Moxley (surveyor to the Tankerton Estate). Tankerton/Whitstable in Kent was once owned by a family which jealously guarded its buildings, woods and privacy for 60 years until 1890, when it was bought by a solicitor who realised its potential for development. At that time it consisted of just The Tankerton Tower (The Castle), lodges, several farms and a single track road. 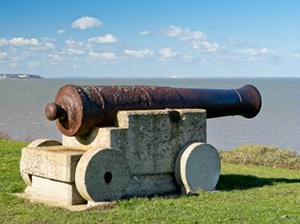 The name Tankerton derived from William de Tangreton who held the land in "Knights" service in the reign of Edward I. In the 1800s, with the end of the Napoleonic Wars, improved roads and the coming of the railways, travel to the seaside became very popular. The Bank Holiday Act 1871 encouraged the middle classes to travel to the coast and they could afford to stay and even retire there. Land speculation started on the 300 acres and Tankerton-on-Sea was described as a healthy place with clean air, little commercialism, excellent seabathing, ample boats and a good place to settle...and it still is today. New building began in Tankerton in the early 1900s with new roads, drains, water supply, tennis courts, park areas and open seafront greens, but rules were strict and still are. Only one dwelling per plot was allowed and restrictive covenants were put on the land registry deeds. Permission had to be sought from the Estate for any alterations to plots or property by a Certificate for Approval of Plans and still has to be done today. This, we feel, is why Tankerton has not been over commercialised. The building of all the houses introduced approx 35 miles of 10ft walkways originally meant for the drains and when the car became popular, licences where introduced to allow some vehicles a right of way and access to garages once they had planning approval from the Tankerton Estate. In 1937 Mr W.M. "PiP" Bishop took over the Estate and become `Lord of The Manor`, encompassing ownership of all the 10ft ways and control of all building development. Title has now passed to his sons John & Keith Bishop and the management of the whole of The Tankerton Estate and Horsebridge Properties (Whitstable) Ltd is managed by County Estate Agents and all information can be obtained from Mr Russell Moxley (surveyor to the Tankerton Estate) either in writing at County Estate Agents or by telephone on 01227 274471.